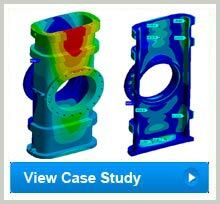 We offer design optimization solutions for industrial valves using Computational Fluid Dynamics (CFD) simulations. 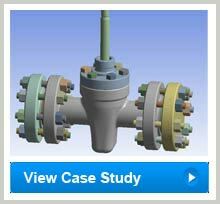 Our solutions are devised to address complex challenges associated with designing process industry valves through proper application of constraints right from the earlier design phase. We conduct extensive analysis to study the valves as an individual entity as well as a part of the system to precisely evaluate performance parameters. Pressure Drop Analysis to provide designers with insights into pressure drops across the valves and thereby minimizes the cavitation and erosion effects. This analysis assists in design modification to improve flow distribution and maximize discharge co-efficient. Vortex Analysis to predict the generation of vortex and simultaneous application of design modifications to reduce the effects of vortex shedding and minimize noise and vibrations frequencies. We also conduct FE based structural and modal analysis to perform design optimizations considering the effects of fluid forces and natural vibration frequencies respectively.